With Advanced Badge in a Bag® Triple from MakingFriends®.com each Cadette will have activities to earn three badges. That’s right, you’ll get 15 projects for less than $1.75 per project. 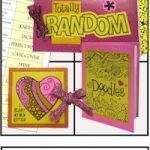 The perfect blend of pre-cut pieces for easy success and open-ended projects so the girls can make each book in her own style! 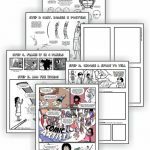 No tools or specialty supplies will be needed when your girls use our kit, Book Artist Badge in a Bag® — Single from MakingFriends®.com, to complete the Cadette Book Artist badge. 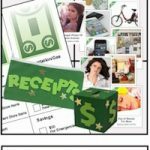 With our mock auction, your girls will absolutely love using the Budgeting Badge in a Bag® –Single from MakingFriends®.com to earn the Cadette Budgeting badge! 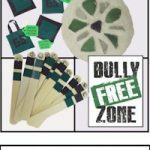 See our blog for complete description of activities and ideas included. Get your Cadettes exciting about making financial decisions by bidding on items to keep and items to donate. Our mock-auction is played with faux money but your girls will get pumped up as if it is their own hard-earned cash. Too Much Fun for One Meeting! Just right for middle school aged girls! 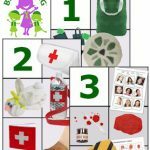 Fun and learning in our kit, Advanced First Aid Badge in a Bag® — Single from MakingFriends®.com for one girl to complete the five requirements for the Cadette First Aid badge. Your girls may have already done some first aid but this kit takes it up a notch. 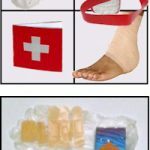 They will get to make their own first aid pouch out of duct tape as well as make a first aid booklet and a “boo-boo bunny” to use when baby sitting. One of the best learning experiences for your girls! 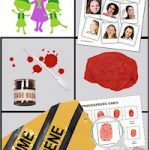 Your girls will have lots of fun with our kit, Special Agent Badge in a Bag® — Single from MakingFriends®.com, while earning the Cadette Special Agent badge. Enhance the badge-earning experience for your girls with activities included in our kit, Advanced GS Ways Badge in a Bag® –Single from MakingFriends®.com, that we are sure they will enjoy while earning the “Cadette Way” badge! It’s time for a refresher for your Cadettes. Review traditions with five fun projects that will remind your girls why they love to be in a troop!